The stylish Cruze Premium Chrome Plated Bath Filler with Click Clack Waste is ideal for streamlining your bathroom. Features a waste, bath filler spout and overflow, great for a clean and simplistic finish that gives your bath a contemporary feel. It eliminates the need for taps, integrating the faucet with the valve in a subtle but stylish way. It is easy to use and creates a stunning aesthetic meaning that you don't have to compromise on style or practicality. 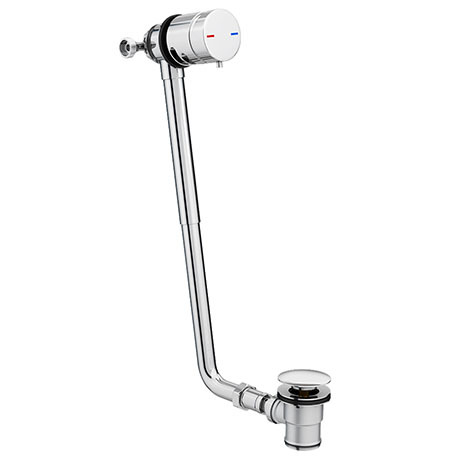 Bath Filler Option - connects to hot and cold water supply, no need for additional side valves or shower valve.